On this film. My character is the girl who dreams about the future before it happens. Here is the link to the scene. Sharing with you my first photographic job I did 15 years ago. 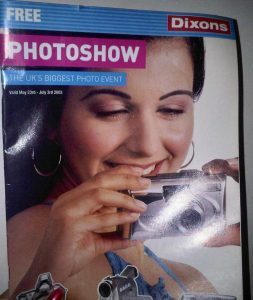 Appeared on the front cover of Dixon’s catalogue. Was happy to be the cover girl for a few months within the store as well as the catalogue. Photography by Billy Carter and Alister Thorpe guy at Holborn Studios. 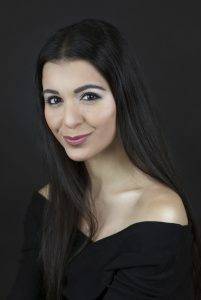 Professional headshots by holly Meadows. www.hollyemeadows.com. Recent showreel, created by George weightman (grappling hookproductions.com)if you need a updated actors showreel or for any other purpose, recommend grappling hook. With Christmas 2016 approaching, here’s a Motorola advert I did showing the many varied giftfaces. Mine is devastated?? here’s the link. Photography by Laura Allard-Fleischl for the cosmopolitan confessions photoshoot for March issue 2016. Was invited by Jennifer Savin a featured writer for cosmopolitan. to take part in the cosmopitan magazine shoot for confessions. 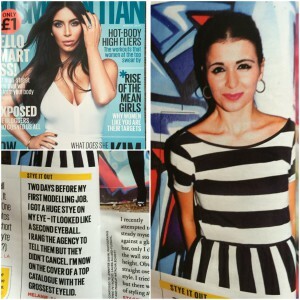 I appear on page 30 of the March issue which is out now for February with Kim kardashian cover girl. Enjoyed the shoot which took place in shorditch. Will post more pictures of the shoot soon. From the petite model management forest shoot in Trent park. Modelling flower boots flower crowns by Lisa Asere. And hair and makeup by Louise watts. 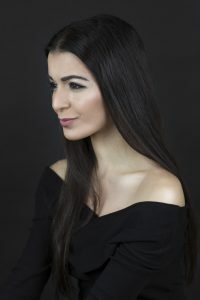 Great photography by Mikaela cordery.http://mikaelacordery.format.com/work And beautiful hair and makeup by Emillie fuller. 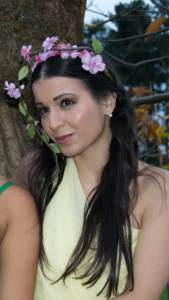 On the petite model management forest shoot. Modelling jewellery by Boho Betty and floral crown by flower boots Liga.